EDI co-organized and presented at several workshops at the LTER All Scientists’ Meeting (September 30 to October 4, 2018), spanning a range of topics such as “EML 2.2, dataset annotation” to “Datasets for Education” and “Ten Cool Features of the EDI Data Portal (You’ve Probably Never Used)”. For a complete list of EDI’s contributions, please see here. A session and poster on “Harmonizing community survey data for reuse” introduced the LTER community to EDI’s work on harmonizing data from diverse ecological community surveys into a standard, flexible template. We presented on its use by LTER synthesis working groups and within the NEON project, plus experiences and recommendations for community survey datasets. Highlights of the soon-to-be-released EML 2.2 were presented at the LTER Information Managers Committee Meeting, so that LTER sites can plan for adding new features to their data packages. Later in the week, a general session (“Dataset Annotation in EML 2”) focused on techniques for annotating datasets with external vocabularies, including the mechanisms and terminology commonly used in the semantic web. The education committee organized a series of sessions, with two focused on data presentation and reuse, and in which EDI participated or co-organized (“Making LTER Data Accessible and Useful for Students and Educators “). Together, these efforts outline the next steps toward making LTER data more available, interpretable and useful to educators. A session (“Data preparation for synthesis – reuse, collaborate, learn”) and poster focused on accelerating ecological data management via software sharing in the Information Management Code Registry (IMCR) and how it can help distribute data management expertise, improve open and reproducible science, and align with community adopted best practices. Participants expressed enthusiasm for contributing/using such a resource and confirmed the design was appropriate. Implementation of the IMCR is nearing completion with development of a controlled vocabulary and continued population of the registry with IM software. Create a user account and add your software to the registry! 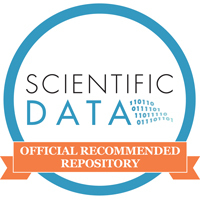 A poster on “Data curation and publication services for ecologists” emphasizes EDI’s data management consultation, IM training, IM software, data synthesis support, and outreach efforts. Individual discussions with data providers and consumers was helpful for understanding the spectrum of needs within the LTER community and how EDI can meet these needs.